Berlin was our second month-long destination after calling it quits on our normal working lives. We arrived in Berlin during springtime to flowers blooming, birds chirping and 70° weather — a welcome change, coming from Norway! 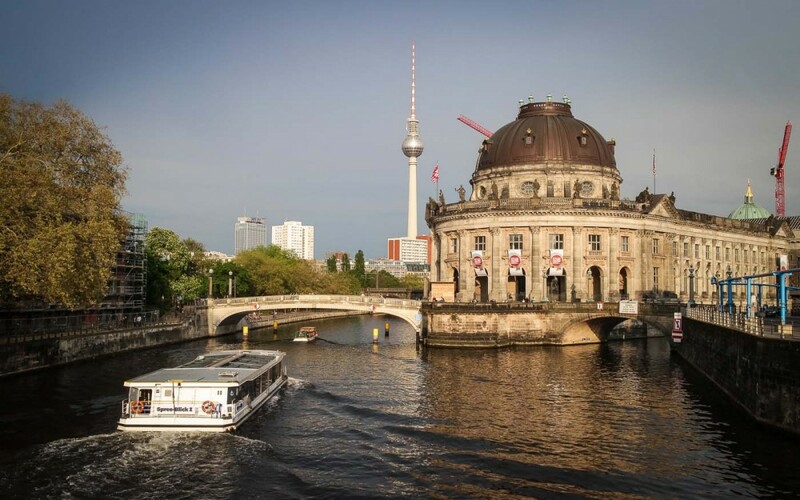 A city with history, there’s a lot to explore in Berlin. Read on for the travel advice we compiled during our month-long adventure here. 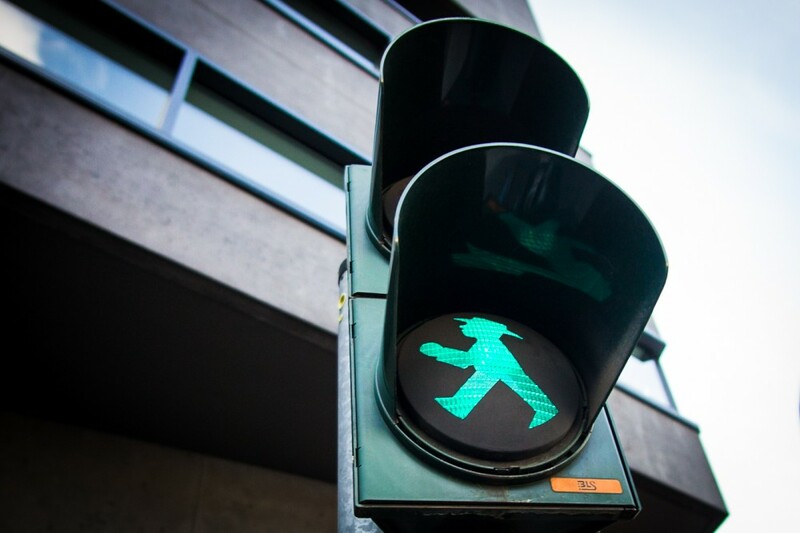 Ampelmann can be found on pedestrian lights throughout what was once East Berlin. 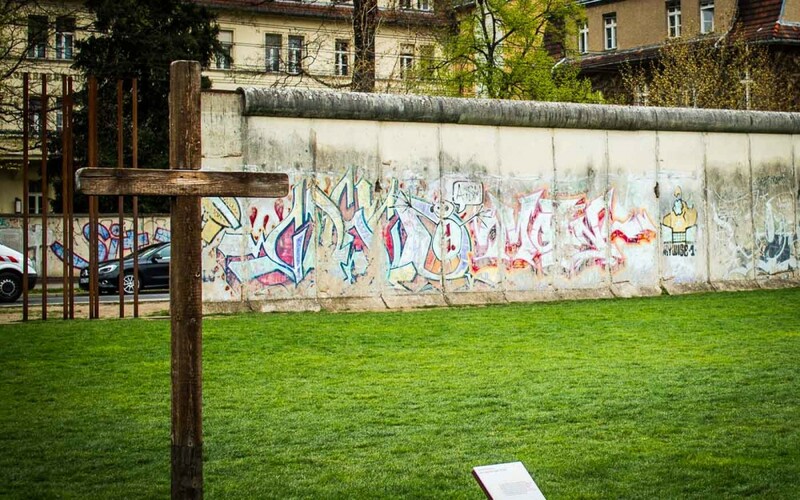 Berlin is a city with a rich and complex history. 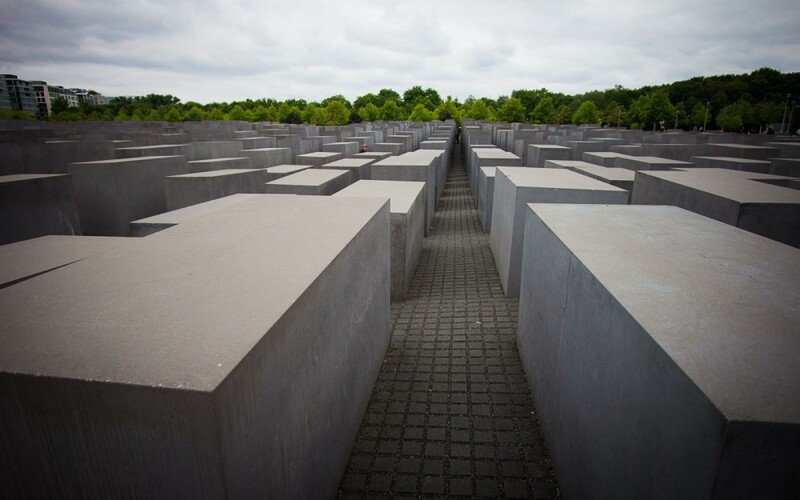 Explore the history of the Holocaust or visit an art museum. You’ve got several options. 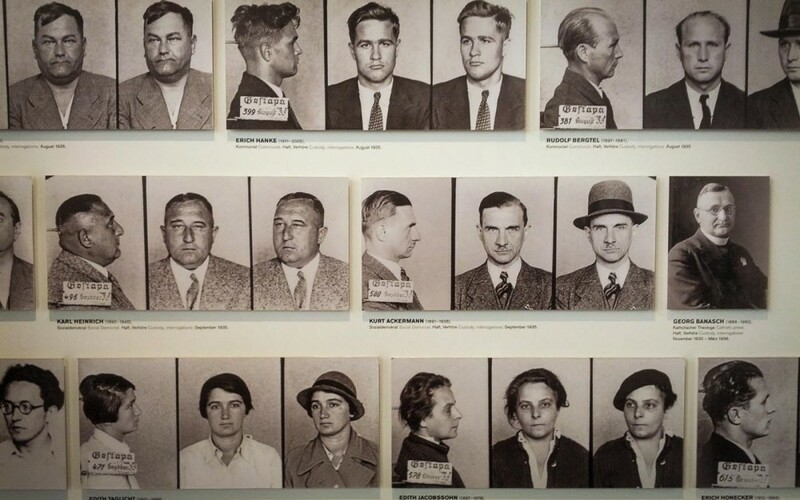 A display at the Topography of Terror museum shows records of those imprisoned for belonging to political parties other than the Nazi Party. Traveling on a budget, I found Airbnb’s neighborhood overviews to be the most helpful when looking for a place to stay in Berlin. Almost any place you’ll stay will likely be near a public transportation stop, but it’s nice if your immediate neighborhood has the type of atmosphere you’ll enjoy. We ended up getting lucky and were able to rent a room in a friend’s apartment in Berlin, on the border of the Prenzlauer Berg and Mitte neighborhoods. We had previously searched for housing on Airbnb and found that it’s easy to find an affordable place to stay. There’s also an easyHotel in Berlin, for a no-frills hotel stay for around €40 per night. My brothers stayed there when visiting for a couple days. Though the room is small and you do pay extra for Internet or TV, it’s clean and does the job just fine. If you’re planning to be out seeing the city, you’ll probably prefer this route over a traditional, more expensive hotel. The public transportation system in and around Berlin is fantastic! It is convenient to get almost anywhere via the BVG transit lines. 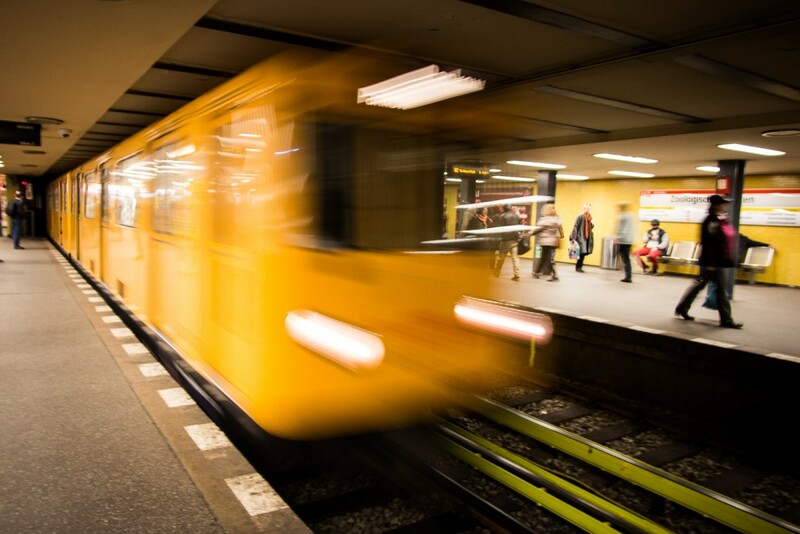 Purchasing a ticket includes use of the buses, trams and urban rail and underground trains of all transport companies in Berlin. Options include a single ticket (good for 2 hours), day ticket, or a 4-trip ticket (4 individual 2-hour tickets at a discount). Children travel at a lower rate on the reduced fair ticket. Berlin is split into zones A, B and C, with A at the center, B encircling a broader territory around A, and C on the outskirts of Berlin. See a map here. You can choose whether to purchase an AB, BC or ABC ticket. (Note: The 4-trip ticket is only available for the AB zone). Visit the BVG website for current rates. TIP: Don’t forget to validate your ticket before your journey! Once we arrived at Flughafen Schönefeld (Berlin Schönefeld Airport), we took a short walk to the rail station at the airport and purchased the standard single ticket, valid for two hours at €3.20 each, for the BVG transit lines in the A-B-C fare zones (this includes the buses, trams and urban rail and underground trains of all transport companies in Berlin). Download a map here. The machine didn’t accept our American credit card, so we had to get cash from the ATM and then break it into smaller bills by buying a snack at the pretzel/pizza stand near the machine. Schönefeld is in zone C, on the outer rim of Berlin, so we had to purchase this slightly more expensive A-B-C ticket rather than the A-B single ticket (€2.60) which sufficed for the rest of our visit. We boarded the S-Bahn, and had one transfer to the U-Bahn during our 40-minute trip to the city, where we were staying. We didn’t realize we were supposed to validate our tickets before we boarded, but we got lucky, and nobody came around to check. 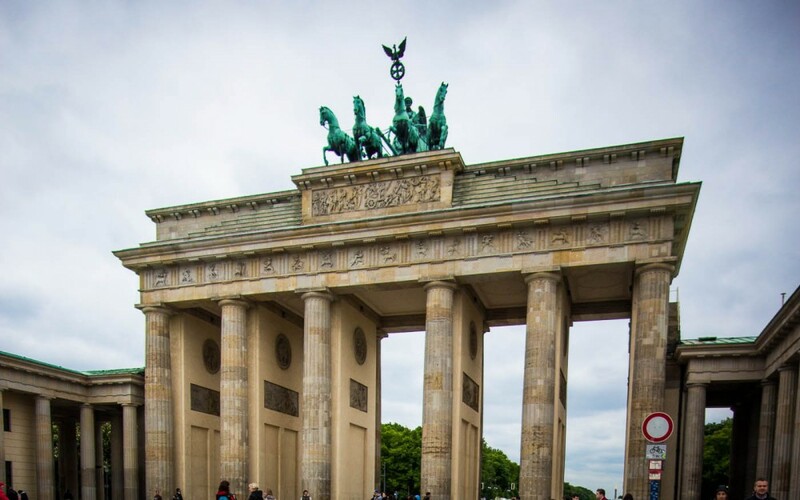 Berlin is a very bike-friendly city, with numerous bike paths and a population that’s generally aware of and respectful toward cyclists on the road. If you want to take your bike on the trains, buses or trams, you can purchase an inexpensive bicycle ticket to take your bike with you. 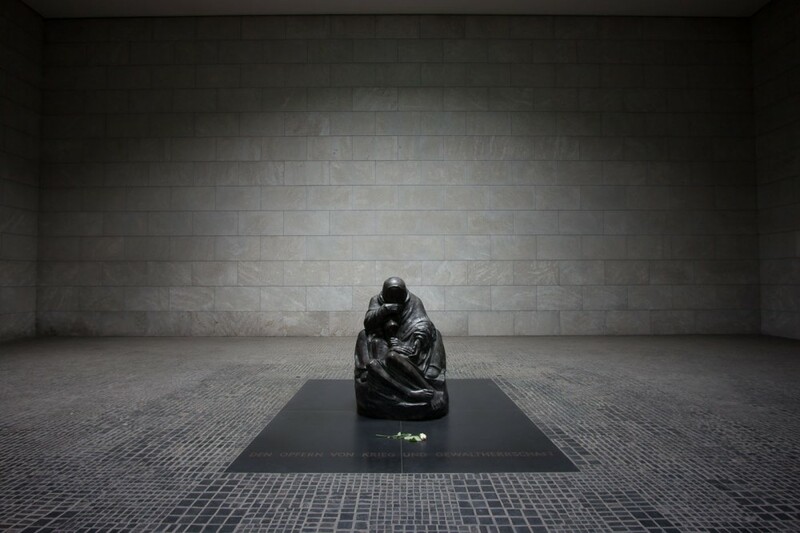 Our first week in Berlin, we visited Reichstag, the Berlin Wall, and Töpferei Altenstein. (Our friend Helene’s mother is a talented potter!) We also stumbled upon the Olympus Photo Playground. View photos from week one here. This week we explored more amazing architecture and set out by bike to the Brandenburg Gate, Berliner Dom and the Victory Column. Photos of week two here. Our third week in Berlin brought us Museum Island, an epic banana split, and a longer distance venture to Sanssouci Park. My twin and older brother came to visit as our time in Berlin came to a close. We re-visited our favorite places and visited the Topography of Terror Museum. View our small sample of this week’s photos here. Then it was off to Italy for the final month of our 2014 Europe trip. I hope you enjoyed this introduction to Berlin! See what other tips we’ve got up our sleeves for other destinations we’ve visited.